It would be a joy to help you in your volunteer missionary trip. My name is Mark Finch and I would like to thank you in advance for personally thinking of me and giving me consideration, too. I am really blessed to be able to work with individuals and groups planning trips. From feedback I am receiving from trip coordinators I believe the feeling is mutual. LOVE OF FAMILY I am married to a beautiful Christian lady, Ann, whom I met in the Philippines. 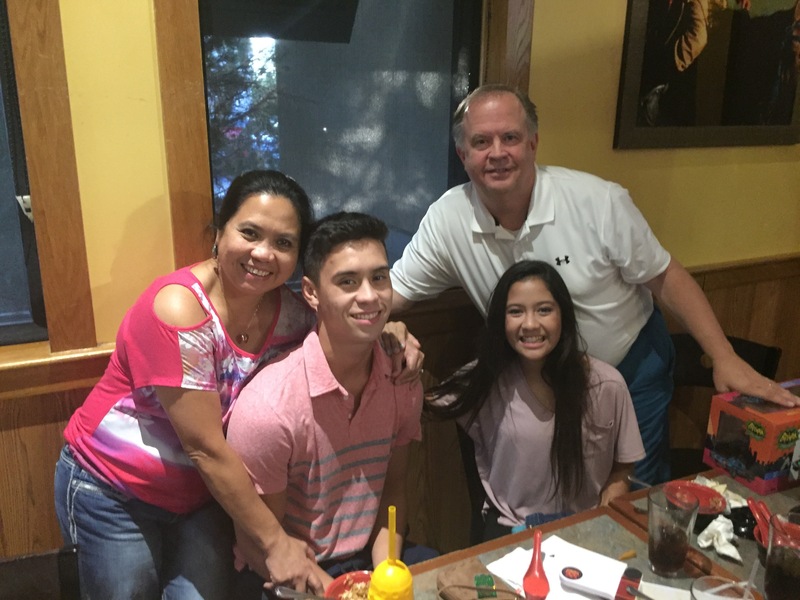 We have been married 21 years and have a 15 year old daughter, Aliya Grace who is a freshman at Summit Christian Academy in Lee's Summit MO and a 19 year old son, William who just got appointed to the US Air Force Academy in Colorado Springs. We are members of church plant Fellowship at Greenwood in Greenwood, MO. LOVE OF MISSIONS Our family's first love is missions. My parents, two siblings, nieces and nephew and Ann and I have been on over 100 volunteer mission trips. My parents founded the Wellspring Foundations which has sent over 1,000 volunteers on partnership mission trips. My father, Dr. Harold Finch, was called by God to found the ministry Reaching People of Influence which has worked closely with Dr. Rankin, former IMB President, and the regional leaders in seeing some 40,000 professionals accept Christ in the past few years. My first mission trip was to India and it truly changed my life.